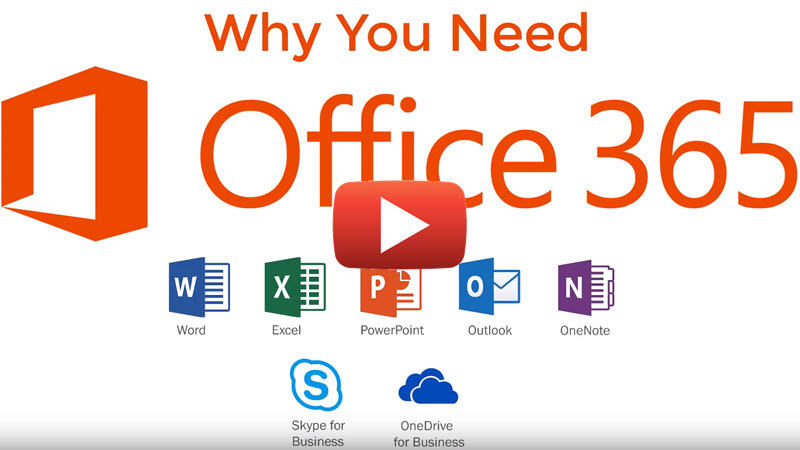 With Office 365, you get Word, Excel, PowerPoint, Outlook, and more. Work anywhere with apps that are always updated. Office 365 comes with a full list of tools that will make you and your colleagues more productive! 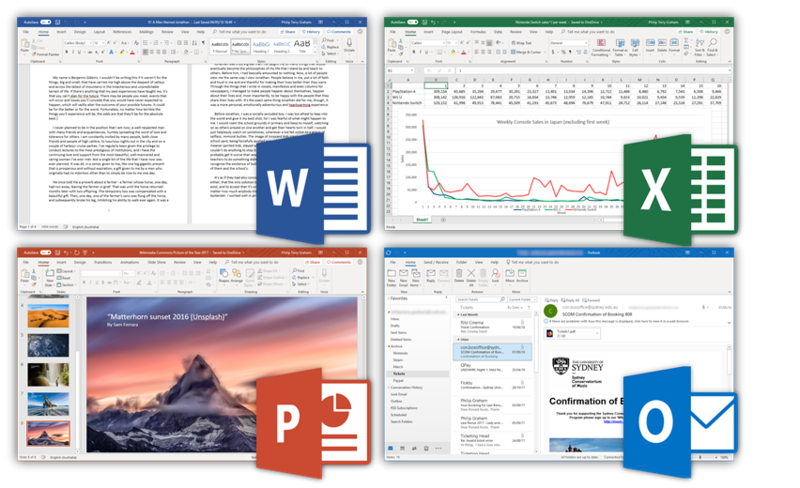 Because you’ve been using Office applications for many years, it’s easy to stick to the same old habits. For example, you’ve probably memorized all kinds of keyboard shortcuts. Once you’ve adapted to a changed interface, you’ll want to use your favorite application in the same familiar way. Well, you may be missing new features that can revolutionize the way you work! 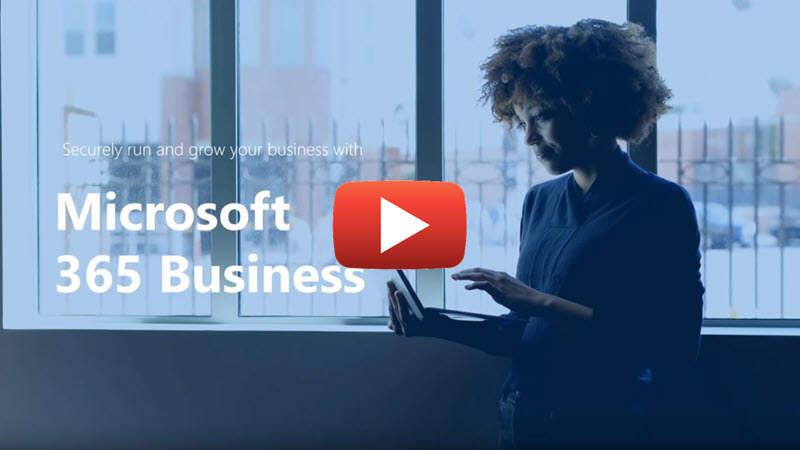 Microsoft wants businesses to increase productivity with its products, and with the recent release of Office 2019, collaboration has been pushed to another level – see each other’s changes as they happen with real-time coauthoring. Share directly from the application, thanks to the integrated sidebar. Easy access to Office apps from anywhere is essential to improving sales, productivity, innovation, and customer engagement. Single identity to access on-premises applications and Office 365, so you won’t need additional passwords. 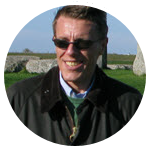 Collaborate online and see each other’s changes as they happen with real-time coauthoring. Save and share your files in OneDrive. Productivity is a great word that management-consultant types love to use. In the real world though, productivity can be summed up in a simple question: Can you do my job easier or not? Microsoft has invested heavily and spent a tremendous amount of time trying to make the user and administrator experiences of Office 365 as easy and simple. Your business doesn’t stop when you walk out the door, and your software shouldn’t either. 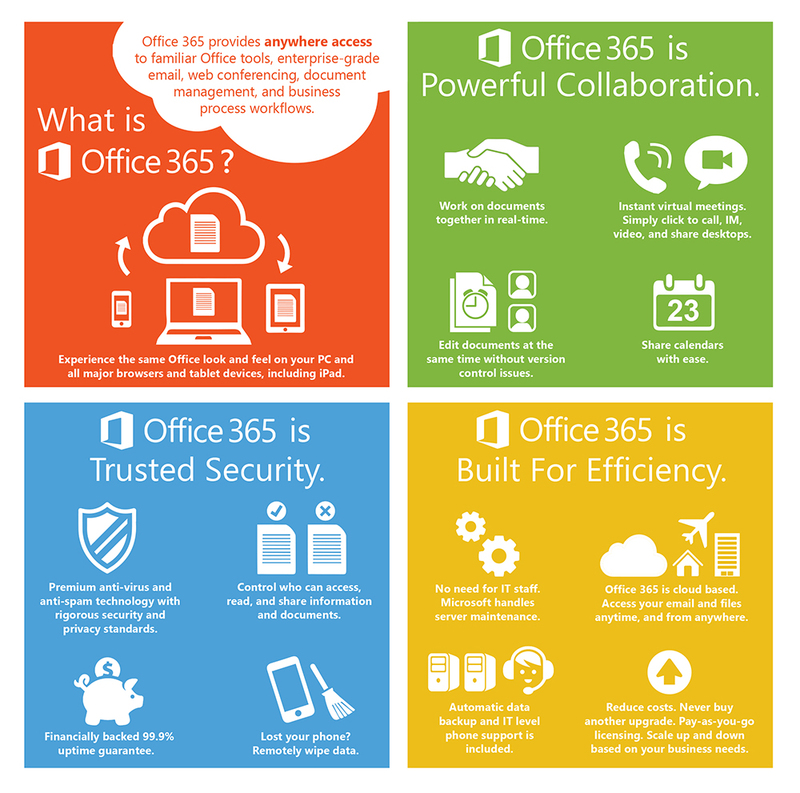 Microsoft Office 365 help you stay productive wherever you need to be. Stay mobile and easily access email, calendars, instant messaging, file sharing and the other Office apps and tools you trust on desktop – with a 99.9 percent uptime guarantee. Office 365 lives in the cloud, so you get the benefits of better collaboration without the hassle of manually managing software updates. 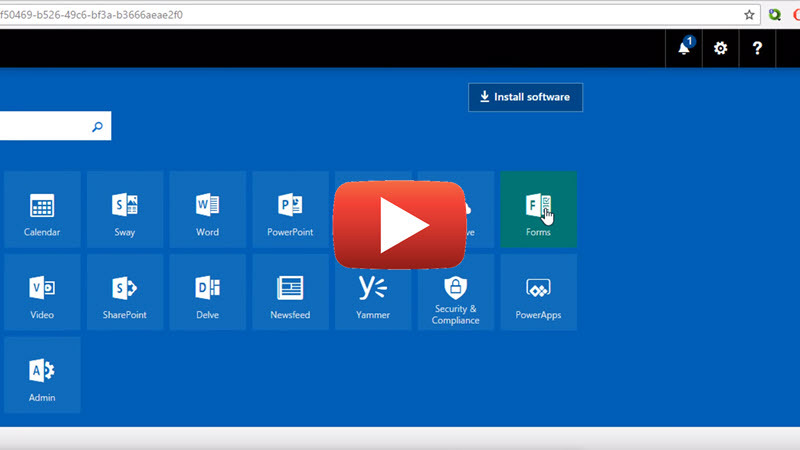 You get the Office Web Apps with your Office 365 subscription, so you can work on your cloud files from any up-to-date Web browser on an Internet-connected computer. You don’t have to install the Office software on the computer. You also get access to Office Mobile Apps so you can use Word, Excel, PowerPoint, Outlook and OneDrive directly from your smartphone or tablet while you’re on the move! Download them from your Android or iOS device store. Microsoft does not own or use your data for any reason. In fact, if you cancel your Office 365 subscription, Microsoft will only retain your data for a maximum of 90 days before purging. This retention period gives an organization time to retrieve their data. Microsoft has taken strong measures to limit access to customer data (including from Microsoft personnel and subcontractors). Microsoft uses service-side technologies that encrypt customer data at rest and in transit. With Office 365, you’ll obtain a financially backed 99.9% uptime SLA; Office 365 offers phenomenal reliability and security. 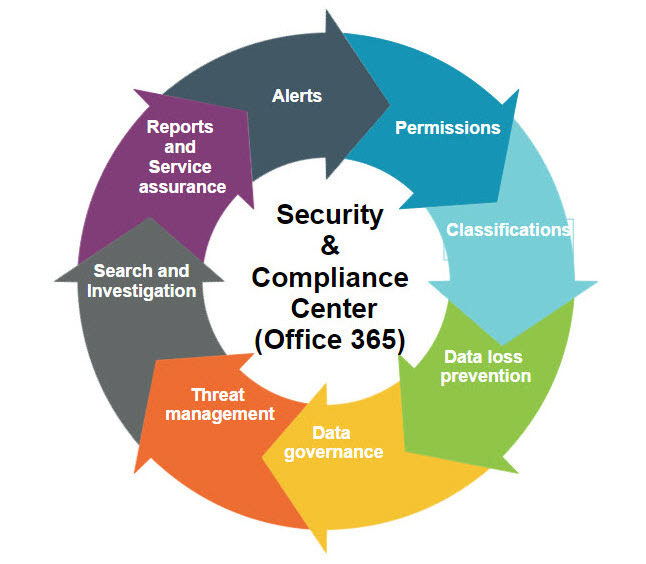 Microsoft Office 365 was designed for organizations looking to obtain all the benefits of cloud-based email, security, calendaring, and operational efficiency. One of the biggest advantages of Microsoft Office 365 is the consistency. Office 365 maintain functional and navigational consistency despite providing new capabilities in each update. Office 365 will encrypt communication going to and coming from the client. Whether the client uses Android, Apple, Outlook, Windows, Mac, or a web browser. Which cost do I have to consider for the implementation of Office 365? How long does it take to complete the implementation of Office 365? Implementations with basic apps can take somewhere between 1 to 4 weeks, this will vary depending on the type of business and on a ‘case by case’ basis. Another part of the Office 365 implementation is the customization – this is the part where the estimation solely depend on the modifications you want. 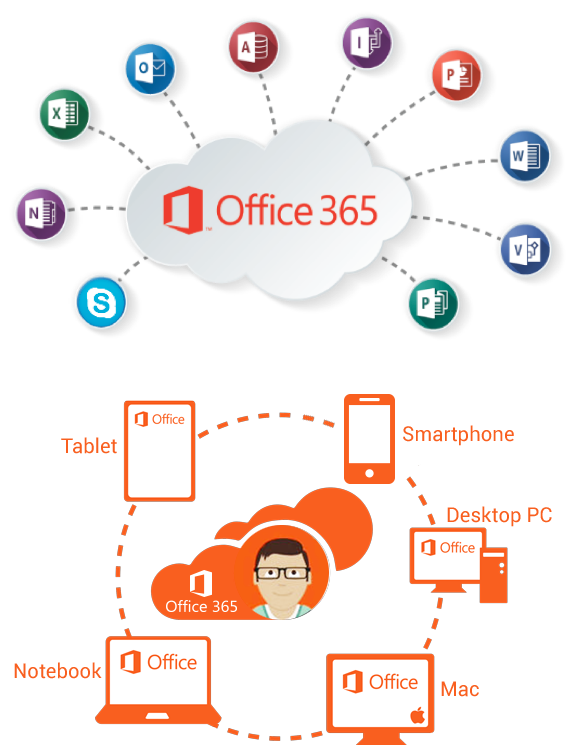 Can Office 365 be connected to other third-party systems and solutions? 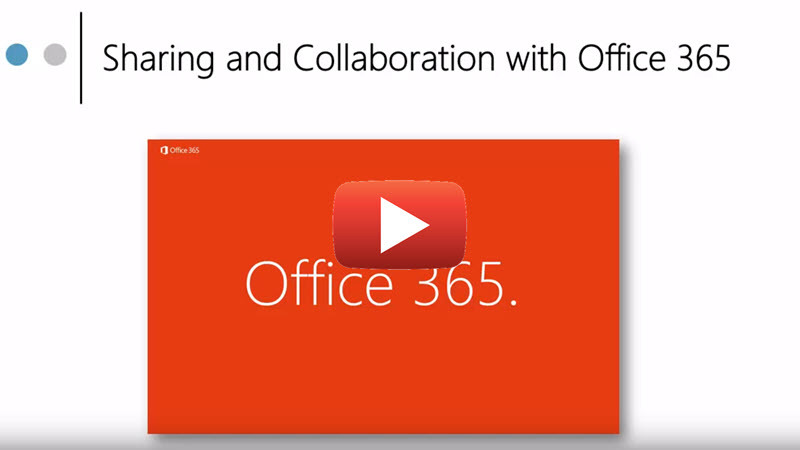 Yes, in our live demo section you can test such an integration between Office 365. Our development team has already made connections to well known systems such as Sage, Odoo, Amazon, EBay, WooCommerce, PayPal, QuickBooks, MailChimp, and many more. Can I access Office 365 from a mobile device when I’m out the office? Yes, you can interact with your business right from your phone. Securely access and handle documents, spreadsheets, etc on any device, share presentations, etc from the Office 365 app to keep your team on the same page – the Office 365 app is available on all platforms. 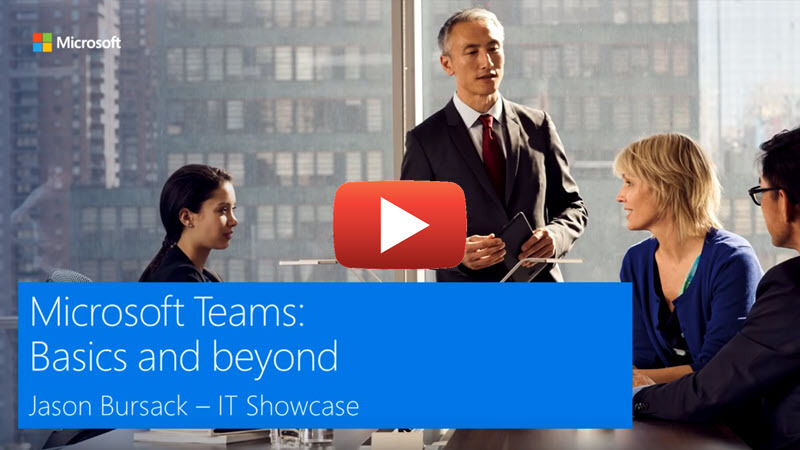 Step 1 - Assessment of your Office 365 solution needs.